I’m working with Outlandish this week, as part of a MoodleNet design sprint. One of their co-founders, Harry Robbins, is quoted in the latest issue of WIRED about the CoTech network of which Outlandish (and We Are Open), are part. CoTech is just one example of how cooperatively-owned tech businesses look poised to proliferate in the UK. Their network boasts 32 member-businesses across the country. They’re boosted, too, by the recent launch of startup accelerator Unfound, the UK’s first accelerator for tech co-ops, which announced its first successful candidates last week. If they succeed, they will be following the lead of countries like Spain and Italy, where cooperative enterprise has flourished for decades. Their proponents see business structures as driving radical change: getting the fruits of innovation shared more fairly and providing better social responsibility. Funding troubles have often stunted co-ops’ growth though – but, with tentative links to blockchain technology and a newfound spirit of collaboration, that’s something that could now change. It takes a while to get collaboration between different organisations off the ground, and CoTech has been no different. I really enjoyed the CoTech gathering at Wortley Hall (a worker-owned stately home) last year, but we’ve more work to do. CoTech’s 32 member-businesses have around 300 workers between them, with trades that range from web development to broadband infrastructure and augmented reality. The three biggest, among them Outlandish, boast turnovers of between £1 and £2 million. They’re yet to implement the equal pay suggested at their first meet-up, but they have made progress in efforts at collaboration. They now hold inter-coop training, monthly meet-ups to hold discussions and share skills, and run internal crowdfunding using the Cobudget tool (developed by New Zealand social enterprise network Enspiral). It’s only when you set up a co-op or something other than a straight-up limited company that you see the default ‘operating system’ of 21st society: capitalism. And not just warm fuzzy capitalism, but rapacious, neoliberal capitalism that sets out to deprive normal, everyday people of money, rights, and dignity. Robbins argues that being a co-op creates a different set of incentives: with no shareholders demanding dividends, generating profit isn’t the primary goal. And with it not being a quick or easy way to get rich, they’re more likely to be founded with a purpose that’s socially- or ethically-minded. He sees big openings for CoTech to grow in both their member businesses and their respective staff – and thinks a lot of the UK’s small businesses are already effectively operating as co-ops. In an overheated market for developers, he believes that a big proportion of them want to work for companies that are socially responsible, but don’t want to do the repetitive web maintenance on offer at many charities. It’s great to see CoTech continue to get mainstream press. 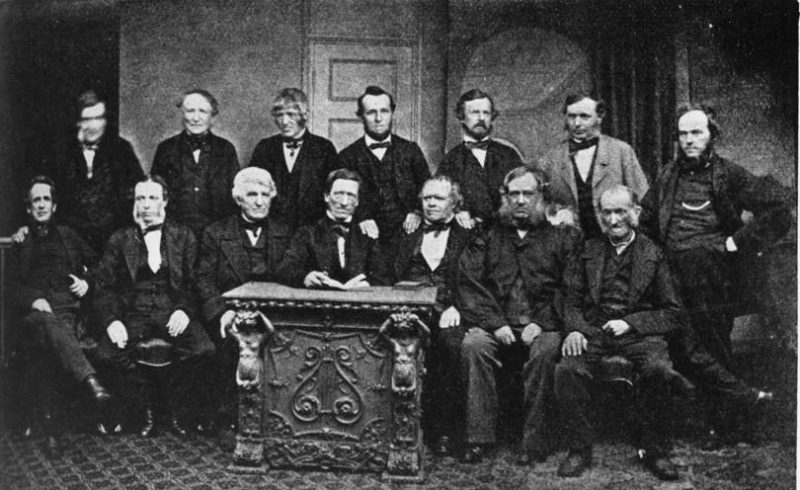 Interestingly, and as you can see from the photo of the Rochdale pioneers that accompany both this post and the WIRED article, traditional co-ops weren’t necessarily any more diverse than their mainstream counterparts. That’s something that modern co-ops are actually really quite good at: diversity and democratic processes.